"The Immortal Shinobi from akatsuki" Kakuzu. He could use whatever kind of nature manipulation technique. He was able to lengthen his life span by taking out the heart stronger and stronger shinobi. It is very great wallpaper of Kakuzu. 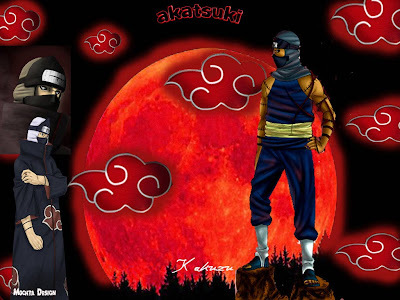 Get this Kakuzu Akatsuki Profile Wallpaper by clicking on image.